T3 Agenda: A Wileyfox Swift 2 X/Amazon Echo Dot bundle. Loewe' bild x concept OLED TV. And more! 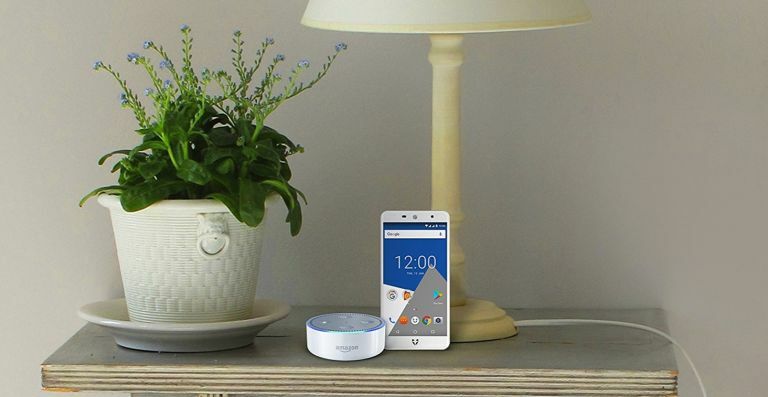 In today's midweek T3 Agenda - the Wileyfox Swift 2 X gets bundled with the Amazon Dot Echo. Loewe debuts its impressively futuristic bild x concept TV. And more! To mark the arrival of Amazon Alexa on Wileyfox smartphones, Wileyfox today announces the availability of an exclusive, limited-edition Echo Dot bundle that nets you voice-controlled device and a shiny new Wileyfox Swift 2 X handset. From today, you can get your hands a brand-new SIM-free Wileyfox Swift 2 X - a smartphone that offers access to Amazon Alexa on the move - and receive a complimentary Echo Dot worth £49.99 as well. The bundle can be purchased from Amazon.co.uk, and is available while stocks last. The Wileyfox Swift 2 range of handsets now offer the lowest cost option for customers to interact with Alexa on their smartphone, with prices from just £159.99. German TV maker Loewe has debuted the design for what could be the next entry in the bild OLED TV range - the bild x concept. The design, created by creative director Bodo Sperlein, has a real clean, art-deco feel offering a slim OLED screen with an artistic twist. According to the firm, the bild x concept series has been created to demonstrate the, "flexibility and versatility presented by today’s OLED screens and contrasts with the approaches by most other brands to hide away or disguise a TV screen." It also says the design - which is still very much in the concept stage, hence the name - is a combination of ultra-modern and ultra-thin OLED technology with luxurious natural materials. While a final design and release is some way of, Loewe has confirmed it's currently experimenting with electronic components and a range of speaker options to accompany the screen. T3 Agenda: Exquisite viewing with the Loewe bild 5 OLED. Miele launches an affordable kitchen appliance range... And more! Sports clothing firm Endura has teamed up with Scottish National Hill Climb Champion, Walter Hamilton, to celebrate the launch of its new cycle-focused Pro SL Winter Collection thermal clothing range. The set includes the lightweight Pro SL Classics Jersey II, which offers a windproof, waterproof and highly breathable design that'll keep you protected in even the grisliest of rides. There's also the Pro SL Primaloft Jacket, which features lightweight windproof panels with Primaloft Gold insulation to keep you warm when the temperatures drop and winds picks up. There's also the onesie-esque Pro SL Biblong, which comes with a 700-Series pad. Finally, there's the Pro SL Winter Collection - Blue and Orange Colour Story gloves, which use Exoshell40 three-layer fabric for an ideal thermal protection. Hackett’s long-standing partnership with Aston Martin has produced its third luxury capsule collection, Aston Martin by Hackett, for the Autumn/Winter 2017 season. The nineteen piece collection is made up of outerwear, blazers, shirts, trousers and accessories. In what Hackett is calling, "classically masculine," shades of navy, brown and grey, the colour palate of the collection is aiming for something contemporary and manly elegance. The Autumn/Winter 2017 Aston Martin by Hackett collection will be available from the end of September across Hackett flagship stores, Aston Martin No8 Dover Street and online at www.hackett.com.